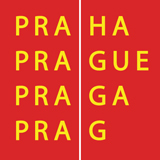 Both historical events and the artistic efforts of preceding generations have left traces that have formed modern Prague. 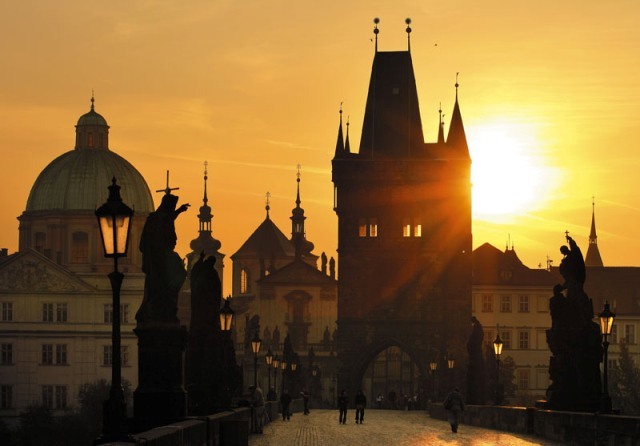 The majestic Prague Castle with St. Vitus’s Cathedral towering above the town has been the main iconic location and the seat of Czech rulers from pre-Christian times to today. Here you will find fascinating Lesser Town and rich Old Town Gothic houses with Romanesque cellars – often concealed behind Baroque facades – and proud palaces with gardens which are complemented by monumental churches that have preserved numerous spiritual and artistic treasures of the past. 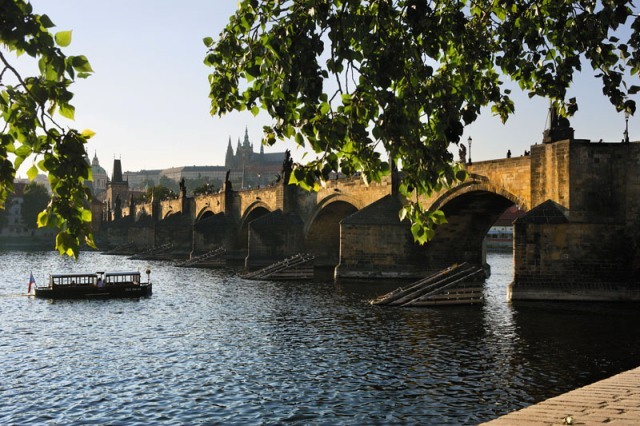 The town, situated on both sides of the river, was connected by the “Judith” Stone Bridge in the 11th century – its successor, the Charles Bridge, dates back to the middle of the 14th century. The ingenious layout of the New Town by Charles IV (1348) extended the contours of the centre to include areas that had only been sparsely and chaotically settled up to that time. The town was thus connected to the mythical Vyšehrad – a city stronghold that was in active use from the 11th to the 19th century. 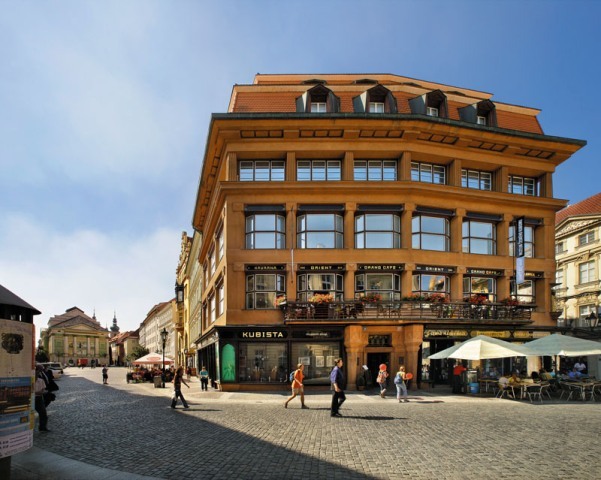 The medieval plan of the New Town was perfectly satisfactory for living until the second half of the 20 th century when Prague was becoming cramped with increased transportation needs. But the town had been spreading beyond the medieval fortifications since the 18th century. This is where Classicism and the 19th century meet modern architecture. 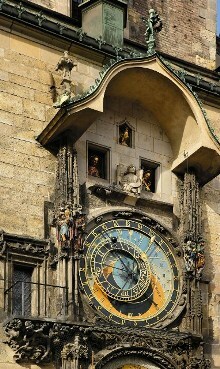 The original form of the Gothic style was born in Prague (anticipating Late Gothic by more than a hundred years) as was the oldest Reformation in Europe (also a hundred years ahead of its time). Remarkable works of art of Late Mannerism were created by the artists around Rudolf II and he amassed a grandiose collection. Impressive Baroque and fin-de-siecle works of art and works of modern world literature also came into being in the city e.g. the output of Kafka and Čapek while the Cubist architecture is absolutely unique and second to none. 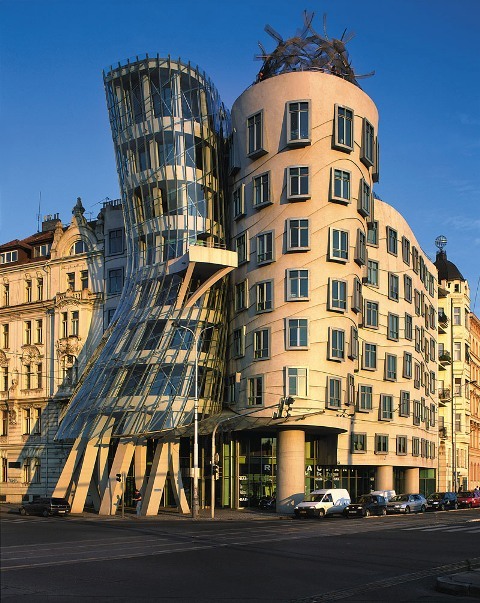 Functionalism and Surrealism established themselves here at the time of their development in France and since the last decade of the 20 th century Prague has also started to be decorated with works of post-modern art.